As temperatures drop and the excitement of Christmas mounts, it’s important to remember your four legged friends. You would’ve heard, time after time, that dogs are for life and not just for Christmas, so it’s hard to understand why so many of our furry friends get forgotten about at this time of the year. 1. Slim dogs and those with a smooth coat will feel the cold more than those with thicker and double coats, so if you spend large periods of time outdoors with your dog, you may wish to consider covering them up. It is important to keep dogs cosy inside the house too. Warm thick bedding will keep them comfortable as well as keeping the stiffness out of aging joints. 2. If it is heavily snowing, keep your dog on a lead when taking them out for a walk. 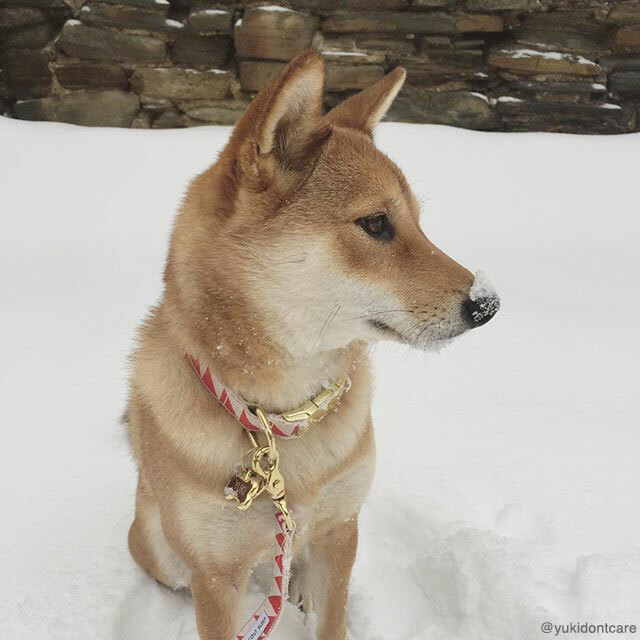 Snow can be very disorientating for dogs, meaning they are more at risk of becoming lost. Ensure that your dog is wearing a dog collar, ID tag and ensure that they have been microchipped. Make sure that your address and contact details are kept up to date at your vets and on the microchip database your dog is registered with. 3. Make sure you wipe your dogs legs, paws and stomach after a walk in the snow as the salt and grit from the roads can irritate their skin. When giving dogs a bath in the winter, turn up the heating in the house and do not let them outdoors until they are completely dry, to avoid them getting hypothermia. If you suspect your dog may have gotten hypothermia, the signs to look out for are shivers, cold ears and feet as well as lethargy and weakness. In extreme cases your dog’s breathing and heart rate may slow down, so take them to a vet immediately. 4. Be careful where you take your dogs out on walks. Ponds and lakes should be avoided in the winter due to them freezing over. Do not allow your dog to walk over frozen water as it may crack due to it not being thick enough and not being able to support their weight. If your dog does fall into freezing water, encourage them to swim back to you and call the emergency services as soon as possible. Do not be tempted to go into the water after them. 5. Many car owners will know that antifreeze is a life saver over the winter months, however, it can be temptingly for dogs but this is highly poisonous. If you do use it, be sure to keep your dog away from the driveway or garage where there is high usage and storage of the solution. Your dog may have digested antifreeze if they appear to be ‘drunk’, wobbly or showing signs of uncoordinated movement. Vomiting, excessive urination and a rapid heart beat are also warning signs. If you witness any of these symptoms, be sure to take your dog to the vet immediately. By taking these precautions, you and your dog will have an easy and safe winter but don’t forget to stock up on their favourite treats over the festive season too.